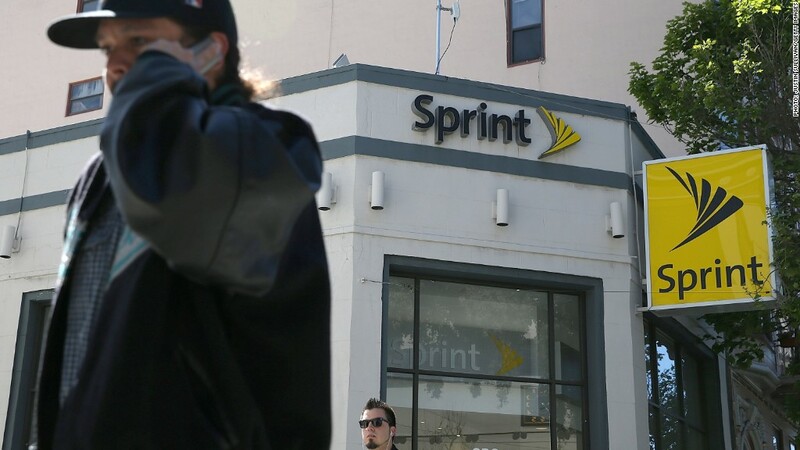 Sprint is struggling to find an identity following its failed attempt to merge with T-Mobile. Sprint's big turnaround effort isn't going so well. The wireless carrier announced Monday that it's laying off 2,000 people, after posting another quarter of massive losses. Sprint (S) lost 272,000 contract subscribers and $192 million in its most recent quarter, which it described as "transitional." "We have started a transformational journey," new CEO Marcelo Claure said in a statement. "While the company continues to face headwinds, we have begun the first phase of our plan and are encouraged with the early results." Shares of Sprint fell 3% in afterhours trading. Sprint brought in Claure in August to lead its turnaround effort after abandoning plans to merge with T-Mobile (TMUS) because of the difficulty in getting the deal approved by antitrust regulators. That merger would have created a combined entity with a subscriber count to rival that of industry leaders Verizon (VZ) and AT&T (T). Claure, who formerly headed wireless equipment and service company Brightstar, pledged following his hiring to make Sprint more "aggressive in the marketplace," and the company has since overhauled its pricing. But Sprint faces a difficult road ahead. Though its speeds are improving, it still has by far the slowest 4G network of its rivals. It was rated the worst cell phone service in the nation by Consumer Reports last year. On top of all that, it continues to hemorrhage money and lose customers.